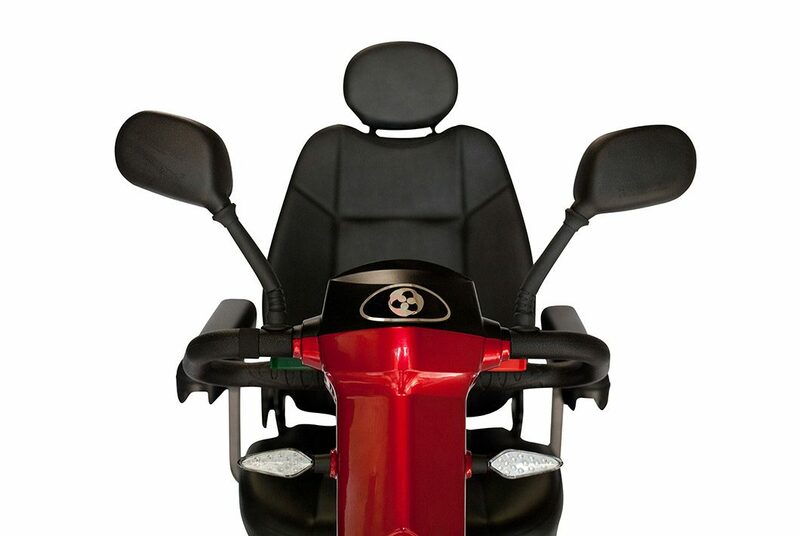 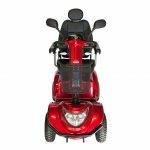 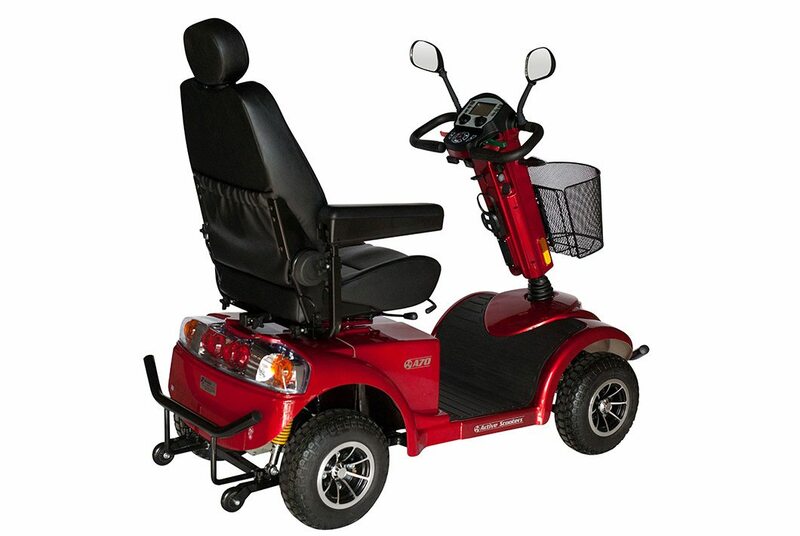 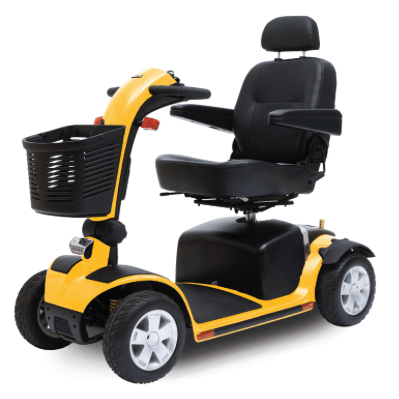 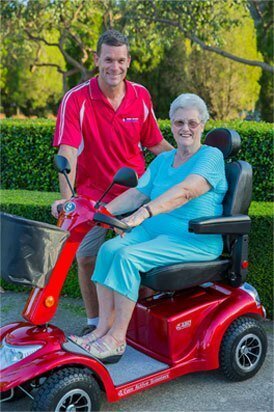 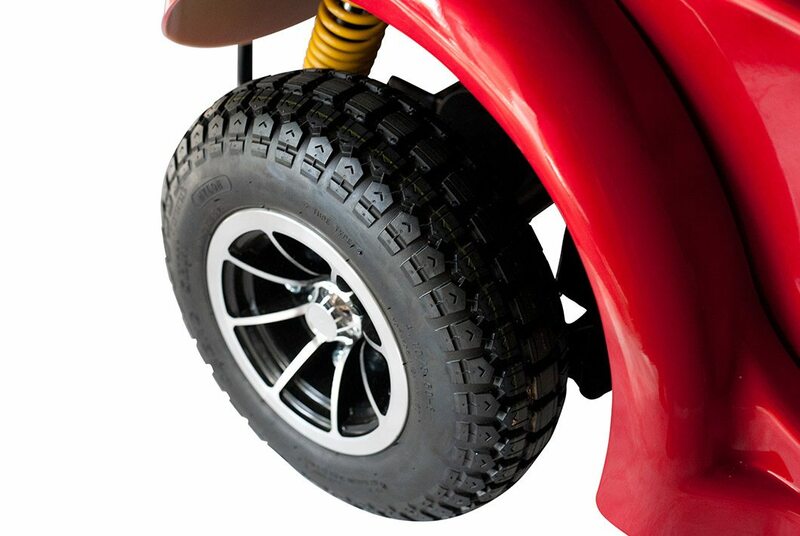 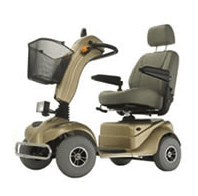 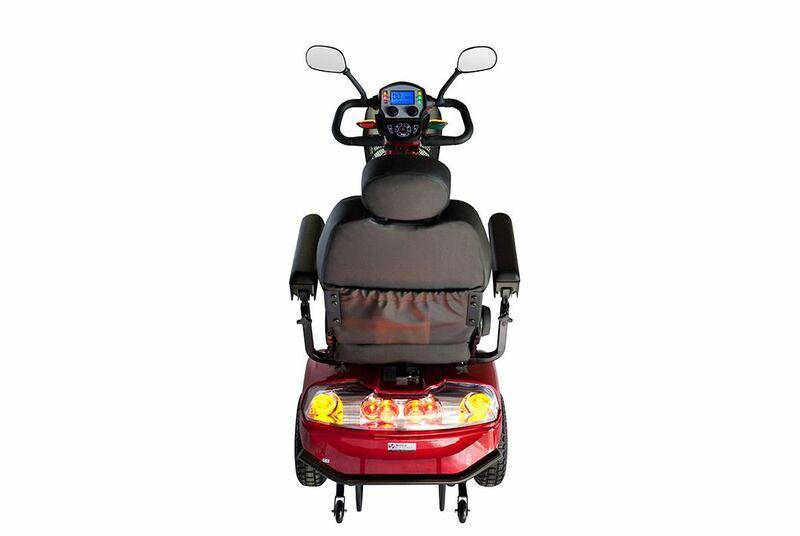 Our popular A70 large mobility scooter has the benefits of larger tyres to keep you safe while keeping the price low. 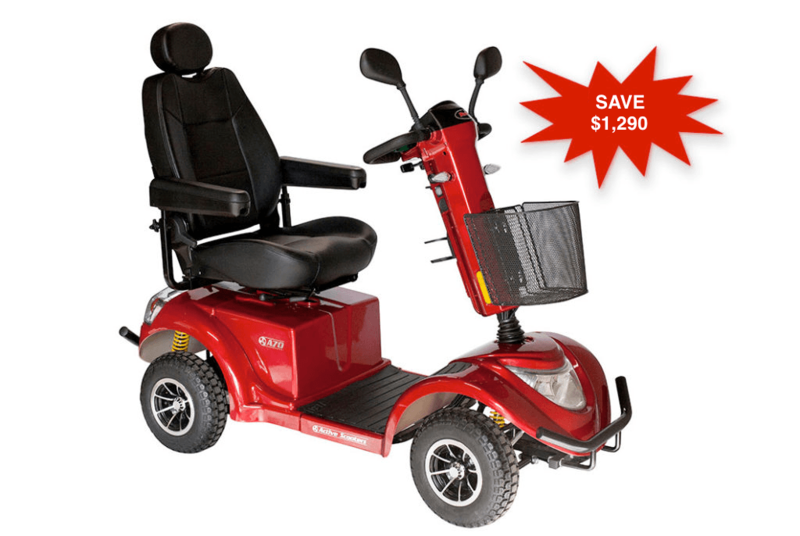 That’s more savings for you. 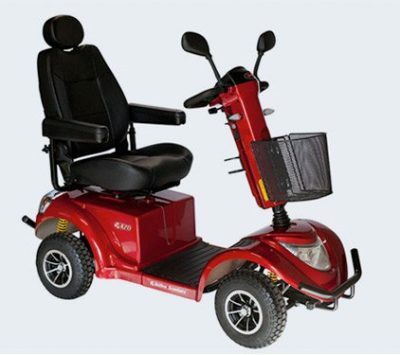 The A70 is perfect for your short trips to the shops. 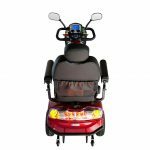 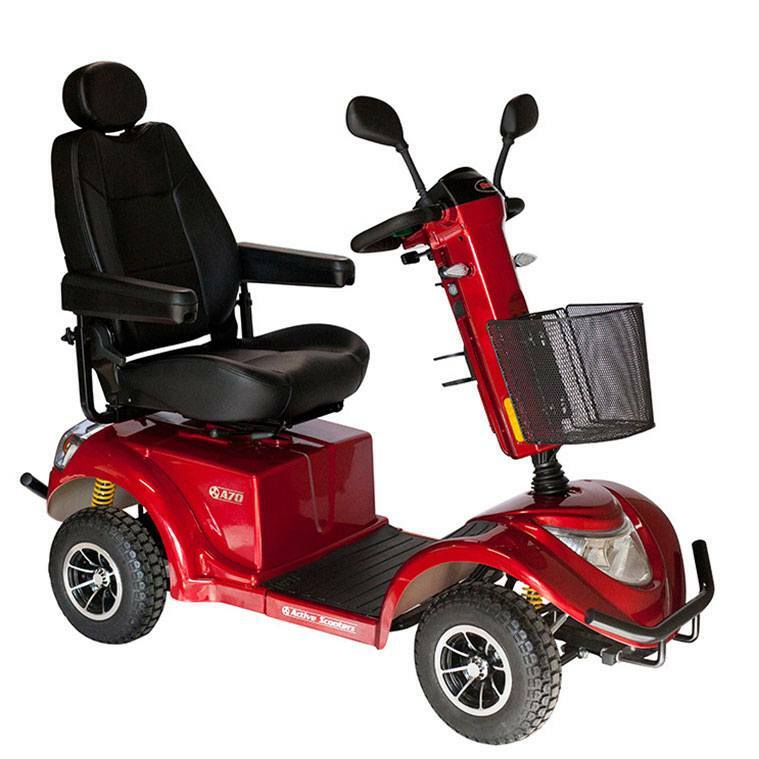 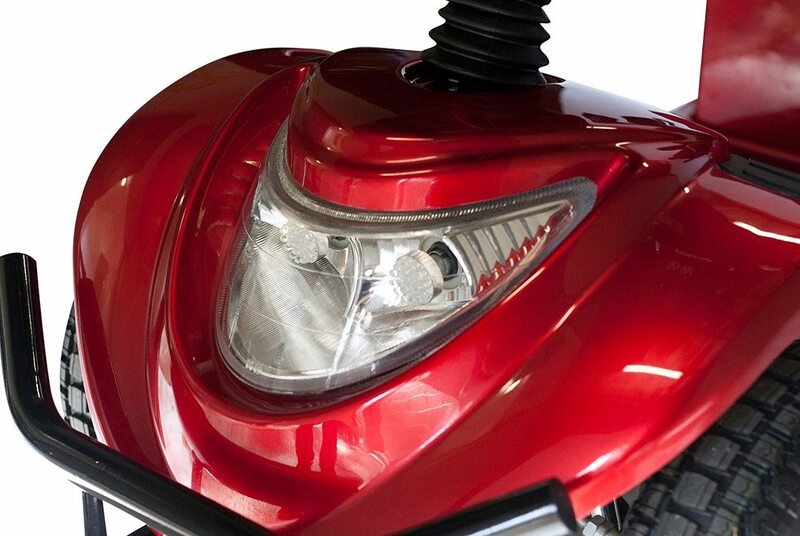 It has many benefits over the larger A90 (wheels and frame) with a lower price tag due to the economical 800w motor and 55Ah batteries. 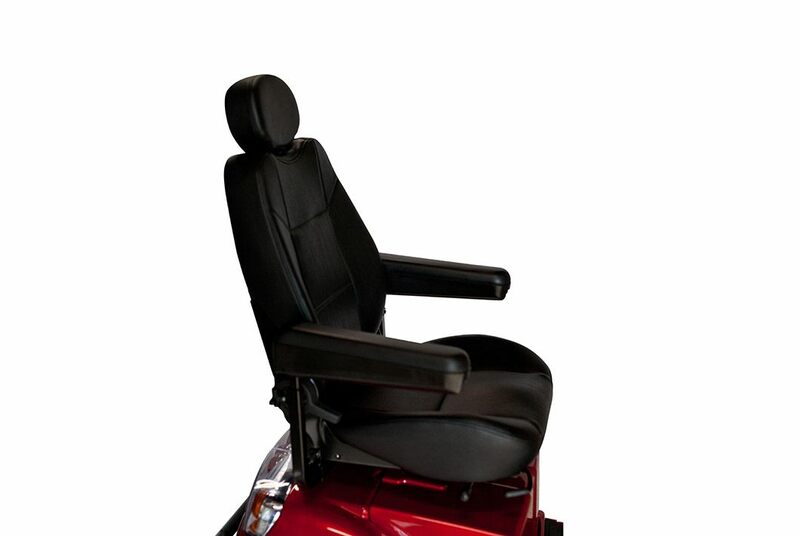 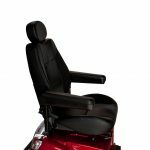 Stay safe and comfortable with a solid high back, premium leather seats and adjustable headrest. 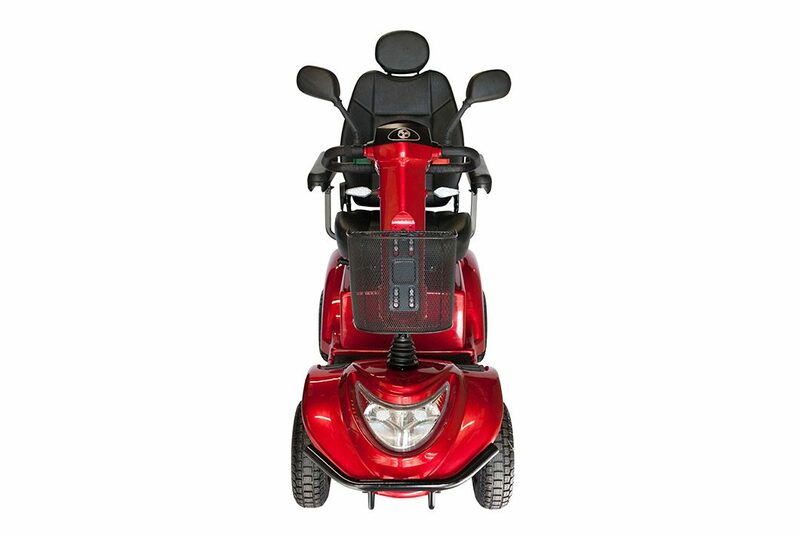 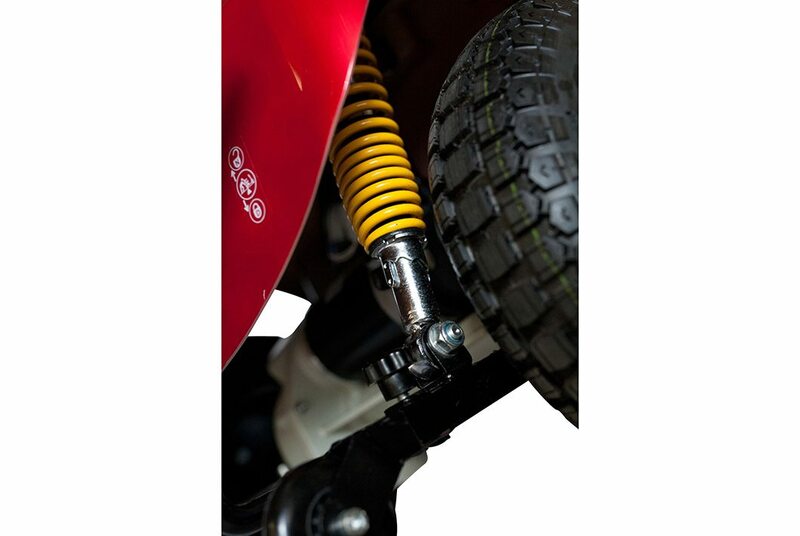 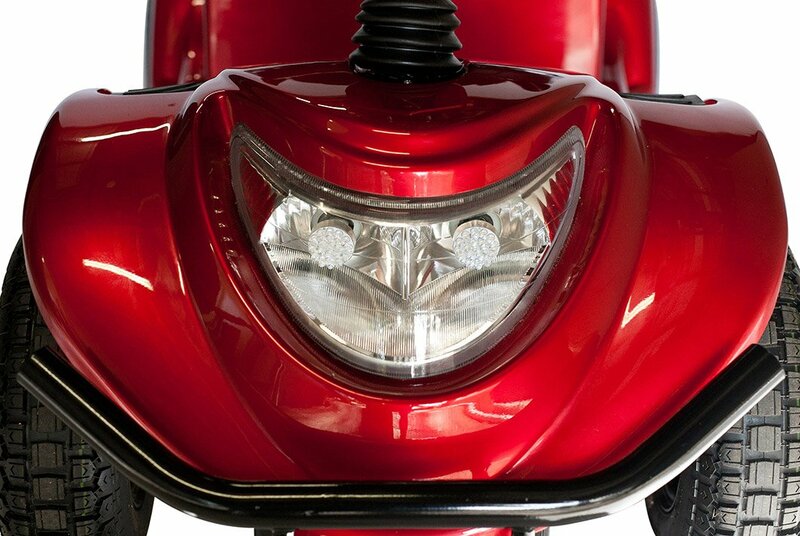 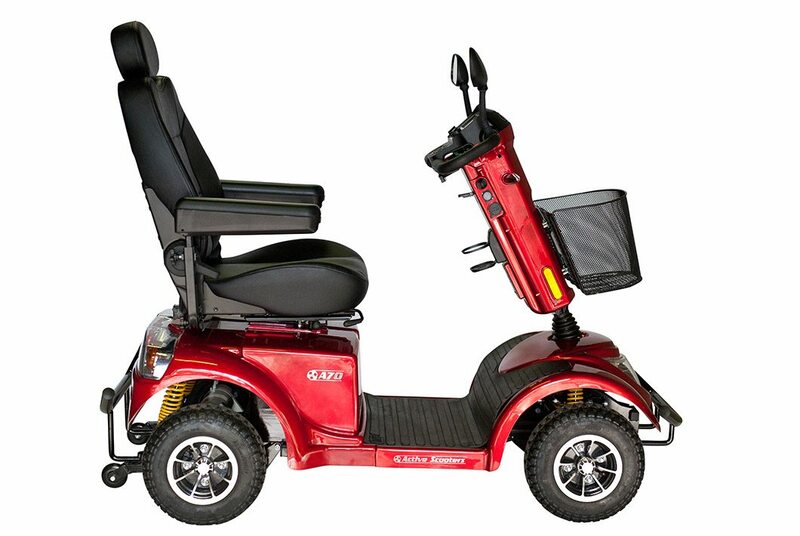 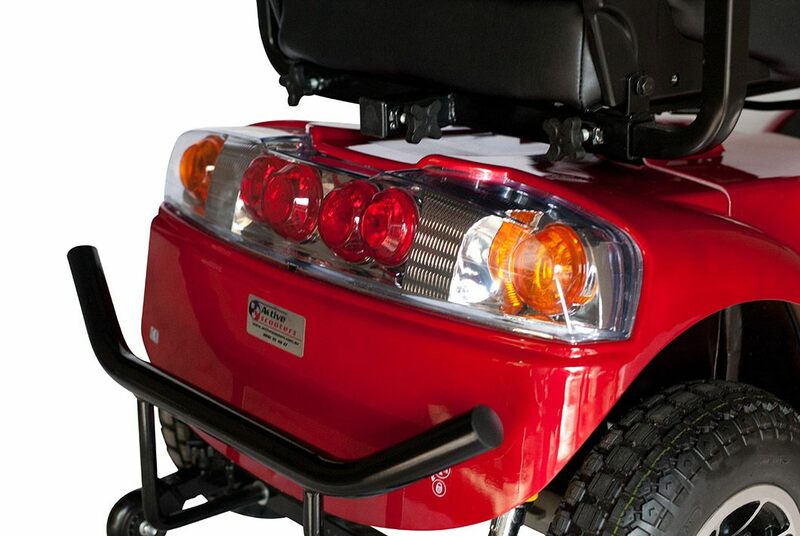 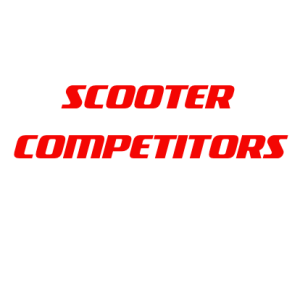 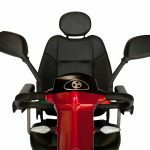 It’s higher ground clearance than the smaller models make this the perfect mobility scooter to visit family and friends.